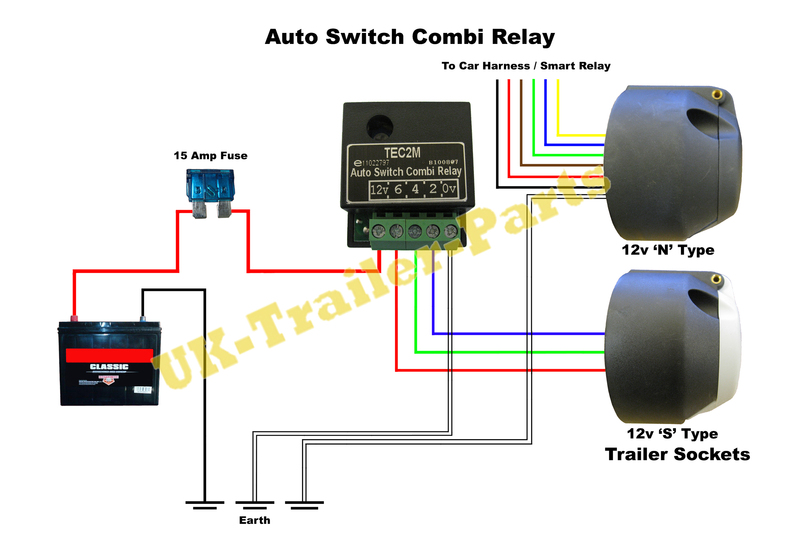 This relay automatically senses the condition of the towing vehicles alternator and diverts some of the current charging it’s battery to the caravan’s battery or fridge as well. This happens automatically when sensors trigger a split charge relay at a set voltage. This does not require a separate lead from the ignition switch as the switch in the relay is automatic. It is important to use cables with sufficient stranding to prevent voltage drop as this can stop the relay from functioning. Cable that has a minimum stranding of 35/0.3 (2.5 sq mm) should be suitable for the 12v feed from the battery to the relay. Cable with a minimum stranding of 16/0.2 (0.5 sq mm) should be enough for the earth. This relay has been designed to handle loads of up to 15 amps. 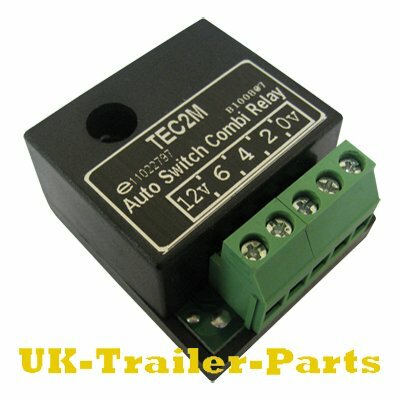 Below is a wiring diagram for the TEC2M, please click to enlarge it.